The Class of 2014-15 visited with Senator Tammy Baldwin during the summer residency. The Class of 2013-14 visited the White House during the spring residency. Speakers at the 2014 LGBT Health Forum. Join us to learn more about the LGBT Health Policy & Practice Program and its admission requirements. 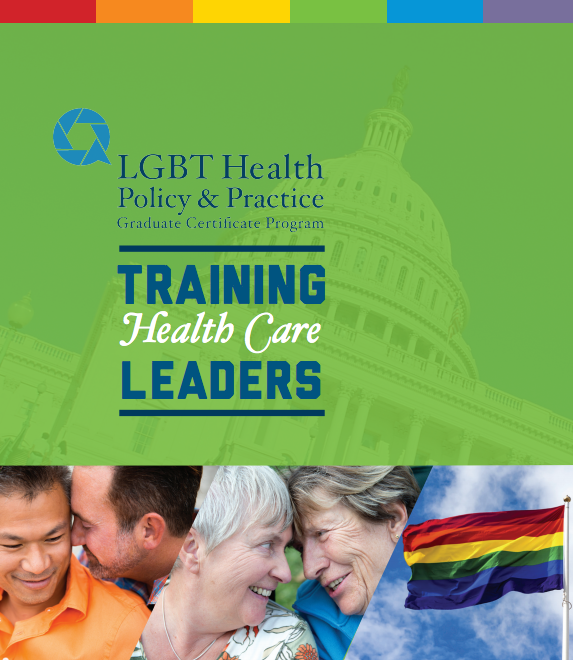 Welcome to the LGBT Health Policy & Practice Program! Check out the COURSES page to see updated information on courses. 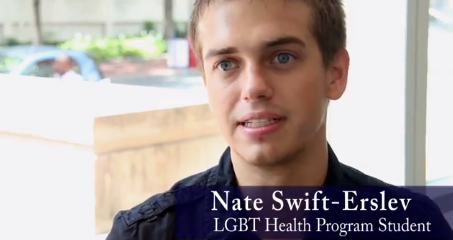 Coursework includes 9 credits in Multidisciplinary Health, Mental Health, and LGBT Health Policy; 6 credits of elective courses in topics such as Transgender Health, LGBT Youth, Rural LGBT Populations, and Lesbian Health; and a 3 credit capstone project that results in a product or outcome that can be applied in existing community settings or used as a tool for job or graduate school applications. The program can be completed in one year! Our hybrid model allows us to offer the most comprehensive coursework possible while still accommodating working professional time commitments. Check out our SCHEDULE page to see sample program schedules for the one and two year tracks. For those interested in more information on the two-year track, e-mail [email protected]. Tuition for the certificate program is based on the number of credit hours students enroll in each semester. Please visit our COST OF ATTENDANCE page for a breakdown of estimated rate for the 2019-2020 academic year. Please also look through our SCHOLARSHIP AND FINANCIAL AID page for opportunities for additional funding. Thanks to the generosity of our partners, we are able to offer some supplemental funding on a competitive need basis. To apply for this program, visit the HOW TO APPLY page. Check out our website for updated information but for any other questions, please feel free to reach out to us at [email protected]. Career-centric focus on applied care, both clinical and administrative. Complete in as little as year or choose a more flexible path over two years. Hybrid online and on-campus curriculum model that accommodates global candidates as well as working professionals. On-campus residencies that take place once in the summer and again in the spring of the program year. Capstone projects that enable students to interact with current or future employers. Multi-disciplinary faculty from GW and other top-level institutions. Prominent guest faculty from the health care and policy fields. Networking opportunities with professionals and health organizations. Diverse student body from a wide range of ethnic, religious, cultural and professional backgrounds. For an upcoming announcement about our annual Spring Reception at Whitman Walker Health!